Sure, at Guaranteed Automotive & Transmission Service, we do car repair on all the major brands, European, Asian and Domestic. 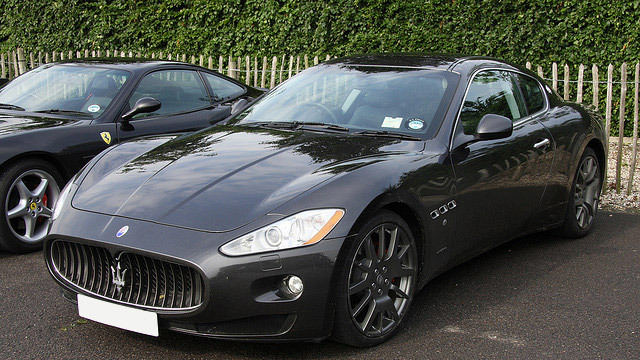 But did you know our auto mechanics are also equipped to handle the more exotic breeds, such as Maserati? If you drive a Maserati or other high-performance car in the Lafayette area, you know how difficult it is to find an auto mechanic who is qualified to perform expert car repair. Your search is over. Our ASE-Certified auto mechanics are trained in all facets of car repair and will have your Maserati tooling around town, running as well as it did the day it rolled off the factory floor in Modena or Turin, Italy. Maserati’s tagline is “Luxury, sports and style cast in exclusive cars,” and as an owner of such a top tier automobile, you don’t want to trust its car repair and service to just any auto mechanic. And since you’re used to the best, you’ll appreciate the excellent customer service you’ll experience at Guaranteed Automotive & Transmission Service. From our service writers to our office staff to our auto mechanics, we strive to bring you the best customer experience in car repair anywhere in Lafayette. We understand your time is valuable and that’s why we provide a free shuttle service to take you where your need to go while our auto mechanics work on your Maserati. Or, if you prefer, we will arrange for a discounted rental from Enterprise. If your Maserati car repair can be done quickly, we welcome you to relax in our clean comfortable waiting area. So the next time your Maserati is in need of expert car repair, trust it to the auto mechanics at Guaranteed Automotive & Transmission Service. We’ll have you back on the road in no time. Schedule an appointment online , call us or stop by. Guaranteed Automotive & Transmission Service is conveniently located at 3742 State Rd 38 East Lafayette, IN 47905.